For many, Kento Ito is still a name that doesn’t ring a bell. The talented seiyuu made a late debut in the seiyuu industry however, that hasn’t stopped him from constantly improving and proving to everyone what he’s capable of. This month we take a look at the career of the multi-talented, up-and-coming seiyuu. Ito‘s journey to the seiyuu business started rather late – already in his 20’s – yet it’s an interesting one. According to a recent interview with numan, he didn’t know much about anime, games and dubbing. He was a full time student with no specific post-graduation goals. When job hunting season started and he actively started looking for a job he noticed that he his communication skills were not good. At that time, he found a voice actor’s school that he could attend while attending classes at his college – College of Law. In other interview Ito mentioned that he enrolled in a voice actor’s school hoping he could overcome his communication hurdles, and ultimately start speaking with others more confidently. With that in mind he ended up applying for Tokyo Announcer Academy. He was accepted and later graduated from it, and joined 81 Produce (known for its well talents: Shinnichiro Miki, Takahiro Sakurai (later left and joined INTENTION), Tetsuya Kakihara (later left and founded Zynchro), Takuya Eguchi, Wataru Hatano, and rising talents Soma Saito, Koutaro Nishiyama, Arthur Lounsbery, etc). Ito made his debut in 2011 but his first job as a seiyuu only came in 2013. However his first job in anime came a year later in 2014 with a role in the idol/music anime, Pripara. The role was far from being memorable as he was only credited for voicing a “man”. Still in the same year, he voiced yet another random character for D-FRAG. In 2015, things changed around a little bit. He had minor roles in Ore Monogatari! !, Kamisama Minarai: Himitsu no Cocotama, Mobile Suit Gundam Thunderbolt, harmony, Punchline and Gintama. For the kids anime Atashin’chi, he had a total of 20 minor roles, being a presence on the show during its two year run. 2016 arrived and the pictured hadn’t changed much. Ito was far from being a constant presence in anime with yet another 4 roles that might have gotten unnoticed by most anime fans. In that year he voiced characters in Nintama Rantaro, Magi: Adventure of Sinbad, DETECTIVE CONAN Episode “ONE” and Reikenzan. His role as Chu Qin in Reikenzan provided him with more spotlight than any of his previous roles had. Although still a minor character, his interactions with the main characters proved to be quiet entertaining and his acting was incredibly solid. Although not that popular, this anime provided Ito with a chance to showcase his talent – even if briefly. After two years working in anime and three years since his debut as a seiyuu, Ito got his chance to be voicing one of the main characters for an anime series. Ironically, that was his only role in 2017. One role in 2017 was enough to put the spotlight on Ito. The popularity of IDOLM@STER SideM was already huge when the anime series was greenlit, filling up venues in Japan for their live shows, having a loyal following of men and women (contrary to most 2.5D projects that usually have more than half of its following being women), millions of people playing the games and it was, quite possibly one of the things seiyuu fans like the most, a project that bet on new talent or underrated seiyuu. The anime series premiered in 2017 during the Fall season and was always on top of the popularity ranks both in Japan and overseas. Ito was casted to reprise his role as Michio Hazama, a serious mathematics teacher that decides to pursue a life as an idol in order to inspire students through his songs. He enlists the help of other two teachers Rui Maita and Jiro Yamashita and through a series of events, they end up as S.E.M, the teacher unit of 315 Production. Just a quick glance at the personalities of each of their members is enough to understand why Hazama is their spokesperson and leader. Serious, dedicated and passionate, he’s the one that devises strategies for the unit and pulls them all together with one objective: inspire youths. Ito‘s performance as Hazama was among the best in the series, being highly praised by fans of the franchise. Building up on the momentum IDOLM@STER SideM provided to himself, we arrive in 2018 to a role and anime series that have been favorites among Japanese and overseas fans. Spring 2018 season arrived and with it came Wotaku ni Koi wa Muzukashii, popular romance / comedy manga that was now being adapted to anime. He was already a fan of the manga when he was casted as Nifuji Hirotaka for the drama CDs (released a couple of years back). In 2017, he was announced in the main cast for the series, reprising his role as Hirotaka, character that easily won over the viewers. Hirotaka is a gamer otaku that looks aloof, not caring about others’ reactions to his hobbies. In a sense, his dedication to completing games translated to reality makes him an effective employee that always finishes work earlier. Ito‘s performance as Hirotaka is wildly commended for having captured perfectly its essence as tackling perfectly the character’s flat emotions. The character’s popularity has rubbed off positively on Ito, with people now starting to take interest in his career. Although still with few roles under his belt, his flawless performances as Hazama and Hirotaka are starting to make people notice him. There’s still a long until being a star but Ito is using his talent to slowly and steadily making his name known in the business. At the 13th Seiyuu Awards in 2019, Ito, as part of the cast of the massively popular hip-hop franchise Hypnosis Mic, won the Singing Award. He didn’t attend the awards ceremony. Since his debut, Ito has worked on a couple of radio shows, and somehow, he always ends up partnered with easygoing, smooth talkers and / or chatterboxes that cover for his flaws perfectly. In 2016, Ito ventured for would be his first radio show and the longest running out of all radio shows he’s hosted so far. Paired up with fellow 81 Produce talent, the easy-going Yoshiki Nakajima, the duo hosts Ito Kento to Nakajima Yoshiki ga anata o muchunisaseru radio 〜 yumeraji 〜 on Radio Tomo. Ito and Nakajima‘s chemistry shows with ease on their broadcasts as they have comfortable casual conversations or tackle more complex themes. This show is the catalyst to UMake‘s debut. Alongside fellow S.E.M‘s members Yoshiki Nakajima and Junya Enoki, Ito hosted the radio show “IDOLMASTER SideM Radio 315Night!” in 2017. For this show the trio invited members of the franchise’s cast for an entertaining show filled with a great, warm vibe, fun corners and a lot of crazy shenanigans. 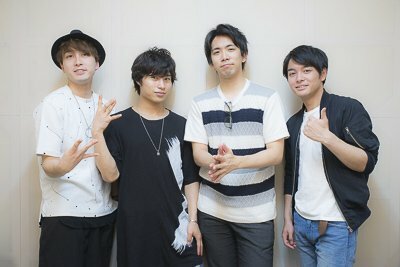 In April 2018, Ito was invited to be the host of MAN TWO MONTH RADIO, show in which seiyuu can handle their own radio show for two months before switching with the next seiyuu. According himself, this was a “Born and raised in Tokyo, city boy radio show“. MTMR Ito Kento no! I to You from Tokyo counted with a “granting wish” corner in which he’d give his support to the ones that asked for his support in the emails or grant whatever wishes he could. The show also included the “Itopedia” corner and several talk parts. From moments in which he was surprised with his genius, to gags, funny stories or just some casual talk about his life, likes and dislikes, Ito showed that he’s a comfortable radio show host that knows how to keep his listeners thoroughly entertained. In June, 2018, Ito kicked off hosting his one-month radio show “Ito Kento de Radio” on Manga Park. 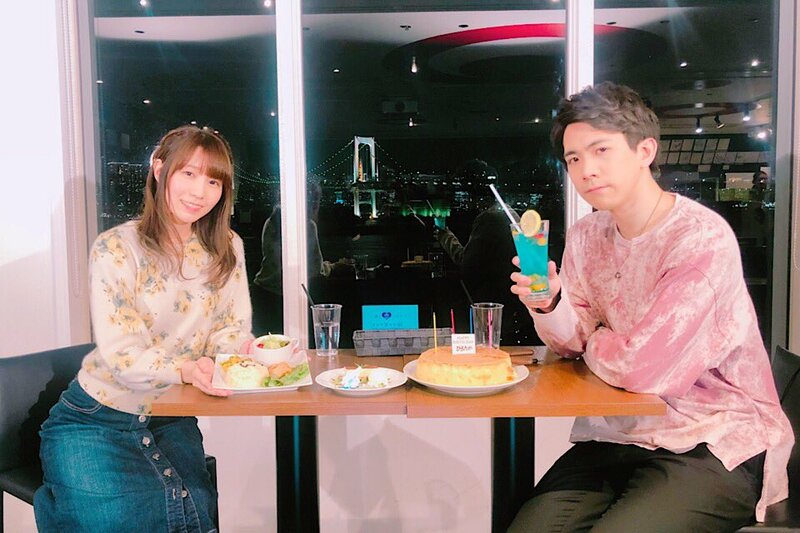 Following his casting as the main role as Nifuji Hirotaka in Wotaku ni Koi wa Muzukashii, Kento Ito started hosting the anime’s radio show alongside his co-star, Arisa Date. Still in 2018, Ito hosted a one-month radio show titled “Monthly Shin Otokomae Tsushin February issue – Monthly Ito Kento“. Ito made his debut as a seiyuu in 2013 with a character in Hyaku-nen senki Euro-Historia as Charles V (French King). Since then he’s been part of several action, RPGs, otome and music games. Some of the games he voiced characters in include: IDOLMASTER SideM (2015), Girl and Dragon – Phantom Beast Contract Cryptolect – (2015), Kyoshi-tachi no himitsu no hokago (2015), Ikemen bakumatsu ♢ unmei no koi 〜 hana no miyako to koi no ran 〜 (2016), Yuba no shirushi (2016), Captain Tsubasa 〜 Tatakae Dream Team 〜 (2017), IDOLMASTER SideM LIVE ON ST@GE! (2017), SOUL REVERSE ZERO (2017), Eto Kare ~ Junishi ni neko ga moreta riyu ~ (2018), Ikemen Live koi no uta o kimi ni (2018), Haunted Obachestra (2018), Shinen RESIST (2018) and Shometsu toshi 2 (2018). All his roles in games listed as from 2018 are main roles, most of those from games that have yet to be launched. When it comes to drama CDs, Ito has quite a few under his belt, especially those from BL. He’s voiced characters in drama CDs such as THE IDOLM@STER SideM ST@RTING LINE (as Michio Hazama), Wotaku ni Koi wa Muzukashii (as Nifuji Hirotaka), Hypnosis Mic (as Doppo Kannonzaka), DOUBLE DARE STORIES (as Namu), Shikkuna megane to ki ni naru Karada (as Hiyori Nose), Rikaidekinai kare to no koto, Zensen kichi kara aiwokomete, between many more. 81 Produce has a long tradition of having their talents well versed, especially with training in narration and / or live reading. Yearly, the company’s acting school promotes a series of Live Reading plays with some of their talents and Ito has, in the past few years, been a part of some of their live reading plays. In 2018 he joined the cast of “謎解きはディナーのあとで” (Nazotoki wa Dinner no Ato de), a detective story that counted with some of 81 Produce’s top male seiyuu talents on its lineup such as Soma Saito, Shinnichiro Kamio, Koutaro Nishiyama, Shunsuke Takeuchi, Wataru Komada, Arthur Lounsbery and Yuki Yonai. In 2017 he participated in Recitation Play TARO alongside Wataru Komada (for his session). When it comes to dubbing, Ito has quite a few credits under his belt. Thomas Lasky in Halo 4: Forward Unto Dawn, Beck in Tron: Uprising and Gus in Julie’s Greenroom. Other credits include dubbing in: Anarchy, ZODIAC: Signs of the Apocalypse, Sunny, Pioneer, Ironclad, Back to the Future, Beautiful Creatures, What I Like About You, Sam & Cat, The Thundermans, My Love from the Star, between many others. Ito mentioned on MTMR that since he was a kid, he was always passionate about music. He was part of a band and joined his University’s music club, hence he knows how to play a variety of instruments that include electric and acoustic guitars, drums, piano, bass and synths. Ito was previously known as a Vocaloid producer way before making his debut as a seiyuu. As 21SeikiP he mentioned that due to having a lot of free time at some point in his life, he started composing songs in 2009. As 21SeikiP, Ito produced mostly rock songs but all those had an easy-listening touch, never delving into aggressive guitar riffs or excessively fast paced, heavy melodies. He also delved into other music genres including pop and rock ballads but never forgetting to insert his trademark touch – acoustic or electric guitars were always on his compositions, showing that those were the instruments at the basis of his songwriting. His music always has a unique acoustic or rock touch that you can easily pinpoint that he was the one producing it. Aside from from being part of a band and his work as a vocaloid producer, Ito never had a solo career, not even after making his debut as a seiyuu, however he is and was part of several interesting and popular 2.5D projects. 81 Produce debuted soffive in 2013. The unit was created to promote their rookie talents. soffive consisted on Kento Ito, Yoshiki Nakajima, Arthur Lounsbery, Koutaro Nishiyama and Shunya Hiruma. They performed live and featured three of their songs in the motion comic, Voice Acting Sentai Boy’s tome 7. Soon after debuting, the unit disbanded. In 2015, Ito joined the cast of IDOLM@STER‘s male version, IDOLM@STER SideM. He was casted as Michio Hazama (far right in the above picture), leader of S.E.M, currently one of the most popular groups from the IDOLM@STER SideM franchise. Junya Enoki and Yoshiki Nakajima complete the lineup for this unit. The talented trio is known for their explosive live performances, chemistry and rich vocals. Since their debut, the group has shown a massive improvement on their vocals, with the major difference being felt on Nakajima and Ito‘s performances of ∞ Possibilities. Ito brought a whole lot of vibrato into the mix, turning that chorus into a jaw dropping experience. Nakajima on the other hand polished his vocals approaching the song with a deeper, more melodic tone. Ito is a pivotal part of S.E.M‘s vocal prowess, impressing time after time with his singing skills. Up until now the trio has released two singles, THE IDOLM@STER Sidem ST@RTING LINE-06 S.E.M (2015) and The IDOLM@STER SideM ANIMATION PROJECT 03「From Teacher To Future!」(2017). Aside from these singles, S.E.M have participated in several cross unit and solo song projects within the franchise. Alongside fellow 81 Produce talent and S.E.M member Yoshiki Nakajima, Kento Ito is part of the self-producing duo, UMake. Since their formation in 2016 as the hosting duo for the radio show “Ito Kento to Nakajima Yoshiki ga anata o muchunisaseru radio 〜 yumeraji 〜“, the duo has released one mini-album “Setsukashou – first” in the summer of 2017. This mini-album impressed a lot of fans of both members with both their self-producing skills and their singing. Yoshiki Nakajima was in charge of the lyrics for all songs and Kento Ito showcased his composition skills, composing all tracks on that release. Still in the same year, UMake participated in Artsonic’s Double Dare Covers album to dazzle everyone with their renditions of GACKT’s “Vanilla” and 君の声に恋してる by Tatsuro Yamashita. Their cover of “Vanilla” earned them a lot of praise, especially when the vocals sounded like an upgrade to the original version. In 2018, UMake were back with exciting news for their fans. The duo made their official debut, announcing their first live show and single release. “SUMMER☆MONSTER“ was premiered during that show, showcasing UMake‘s music sensibility through a variety of music genres that range from acoustic to pop or rock. The duo released their first full length album “Make up a dream” in 2018. The album counted with 14 songs written, composed and produced by the duo. The album debuted at #31 on Oricon’s Weekly Album Chart. After holding their first live during the summer of 2018, UMake announced the release of a new single as well as a new live show that was held in January 2019. UMake’s 2nd single is titled “HOME” showcases a different side to their musicality. In the last quarter of 2017, Kento Ito was announced as part of the lineup for one of the most ambitious and original projects in the seiyuu business, Hypnosis Mic. He was to join Shinjuku’s crew, Matenrou. The most popular crew in the Hypnosis Mic franchise draws inspiration in all ways of “living” a person can experience. Their introspective, relatable lyrics and unique instrumentals quickly clicked with the fans of the franchise, making Matenrou a crew that is a constant presence on the digital charts as well as one of the best selling crews in the franchise (behind Fling Posse). Matenrou released “Matenrou -Onin Rinshou-” in December, 2017 and quickly climbed in the popularity ranks with what turned out to be a complex and powerful release. Comparing with the performances of his crew mates Sho Hayami (leader) and Ryuichi Kijima, Ito‘s performances are the ones that delve into more depressive topics such as overwork, chain of command, rules and how stifling everything ends up being for the common salary worker. His solo performance for チグリジア shone with its introspective vibe, dark melodies and the mix between fierce rap and his well known rich and melodic singing tone. This unexpected project in his career turned out to be a great outlet to showcase his talent as well as delve into something he wouldn’t normally do – rap. About his rap skills there’s only praise from the fans of the franchise. There’s virtually no one that is a fan of Hypnosis Mic and doesn’t know about the one who always screams in the middle of the Division All Stars‘ rap songs. On both songs, Ito showed not only the “desperate scream” that has turned into a trademark for his character, but also caught some of his fans off guard with a surprisingly good rap flow, one of the best in the franchise. In 2018, Ito joined the cast of Ikemen Live, a new smartphone game that counts with two bands, HOUNDS and SilverVine. He’s the main vocal for SilverVine, band that counts as well with the vocals of Toshinari Fukamachi and Genki Okawa. Although the game is yet to be launched, SilverVine‘s debut song “Even if” was previewed in May, raising anticipation for the game’s release. Haunted Obachestra, new project by Poni-Pachet (creators of Ozmafia) involving rock music and monsters, announced in the second quarter of 2018 that Kento Ito would be part of their cast. The project is still shrouded in mystery with little to no information unveiled. Other cast include Tomohito Takatsuka. Haunted Obachestra is going to have music by Kimiyoshi Maruyama, producer/songwriter part of the producing crew “project lights”. In 2016, Ito joined Shugo Nakamura on Voice Garage’s Men-so 〜re! Nakamura-ya no kiji ichiran. He appeared on the show twice, one for the live broadcast, in which he played drums to Nakamura‘s original love song, and a second time on a live event in which he played acoustic guitar as an accompaniment to Nakamura’s song. Those that attended or watched that live performance were impressed with Ito‘s guitar playing skills as he flawlessly tackled a fancy guitar solo. In 2017, Yumeraji‘s duo, Kento Ito and Yoshiki Nakajima. teamed up for the radio show’s first ever variety DVD. The DVD counted with a cooking section in which Ito miraculously managed to fail to cook rice, games and casual talk, all with a comfortable and friendly vibe. Kento Ito often guests on Karaoke MAX, popular variety show that airs on Nico Nico. As the name of the show indicates, seiyuu are invited to For this show seiyuu challenge songs on karaoke. Ito has given several impressive performances, having most recently impressed with his performance of T.M.Revolution’s “Hot Limit”, not only acing the song, but also the main points of the iconic choreography. After staying at home for their first variety DVD, Yumeraji’s hosts Kento Ito and Yoshiki Nakajima visited Chinatown in Yokohama for Ito Kento to Nakajima Yoshiki ga Muchu ni Naru DVD. The duo tried delicacies and suffered throughout a foot massage, among other things. This nickname has spread much thanks to reports by other 81 Produce’s talents on Kento Ito‘s lack of flexibility or coordination. According to Yoshiki Nakajima, the main culprit of dissing Ito, his body was so stiff to the point that he couldn’t reach out to his feet, much less his shin. For the choreography of S.E.M‘s “STUDY EQUAL MAGIC!” he had a hard time to bend into a comfortable position so that Nakajima and Junya Enoki could lean on this back for the final pose. He also mentioned that dancing was difficult to tackle, as he lacks coordination and his movements tend to be, once again, stiff. The nickname “81 Produce’s Diamond” has stayed with him since then. Nowadays, Ito mentioned that he’s exercising, much due to the fact that now that he’s getting closer to enter the 30’s (he’ll be 30 years old in October) he felt like it’d be good to start exercising regularly. He currently frequents a gym to not only improve that so-called “stiffness” but also to tone his body. Ito mentioned that he doesn’t drink beer nor carbonated drinks. He even mentioned on MTMR that he doesn’t even know what does Coca Cola taste like. Passionate about apple juice, hates wasabi and soda. The first thing someone mentions when they see Ito is that he has a stoic, serious vibe however, he is quite the opposite. He’d quiet but bubbly in his own unique way. 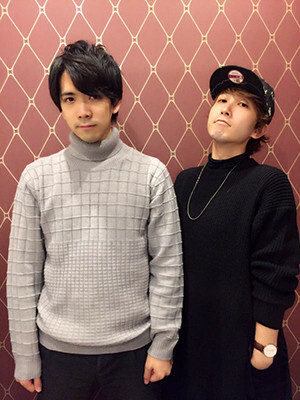 He mentioned on MTMR that, for example, he tends to goof around a lot with his senpai, seiyuu Toshinari Fukamachi. He also added that the image fans have of him, much thanks to his role in Idolmaster SideM, is the complete opposite of himself “We’re nothing alike. He’s too serious and I hate math!“. In an interview for numan, Ito mentioned that he considers himself clumsy and “my pace”. Ito is a major fan of baseball. Born and raised in Tokyo, he has always been a fan of Tokyo’s GIANTS. Aside from being a fan of the sport, Ito played baseball since elementary school until the end of the first year of high school. He played as shortstop. His favorite seiyuu is the veteran Daisuke Sakaguchi. He mentioned that Sakaguchi‘s ability to portray subtle nuances in Japanese impressed him. With this we wrap up yet another Seiyuu Digest. We’re back next month! In the meantime don’t forget to check past Seiyuu Digests (some of those recently updated) – HERE.